Glass shower door is a practical and convenient way to save space in the bathroom, provide comfortable conditions for all users and complement the room with a stylish design. Giovani Glass manufactures shower cabins made of tempered glass, shower doors and curtains for the shower based on your individual project. 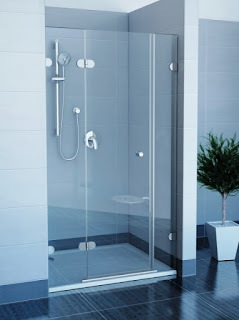 Glass shower doors are used for showers in hotels, saunas, and other recreation complexes since they are user-friendly and have a reasonable price. Such glass doors are safe (tempered glass is almost impossible to break) and at the same time, they have a very attractive modern look. It is easy to care for them. They are durable and reliable! The main purpose of such doors is to prevent the drops of water and steam from the shower room into the surrounding space. The aggressive environment in the bathroom makes the owners buy structures from waterproof material. Therefore, the best choice is glass, and the fittings should be chosen from stainless steel and aluminum. Shower cubicles and partitions made of tempered glass are of high durability, impact resistance and safety. We make doors of any construction and for any type of bathroom. Each product is manufactured under the unique parameters of the consumer, taking into account all the wishes. The glass door always looks stylish, but many users are concerned about the safety of a design that looks pretty fragile. 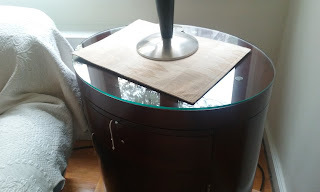 When shopping, it's good to look at the edges so that they are as smooth as possible, eliminating the possibility of a casualty in the form of a cut. Giovani Glass will offer you tempered glass with a thickness of 8 mm. Such material will fall apart into small fragments that do not have dangerously sharp edges even if it is broken.